Are you already feeling the wintertime blues? Do you find yourself dreaming of a tropical getaway? Costa Rica is calling your name. What’s the appeal of this beautiful Central American country? You could ask any of the 2.6 million tourists who visit each year. Or you could plan a vacation and find out for yourself. What if you don’t have the time, energy, or desire to plan a vacation right now? No problem. 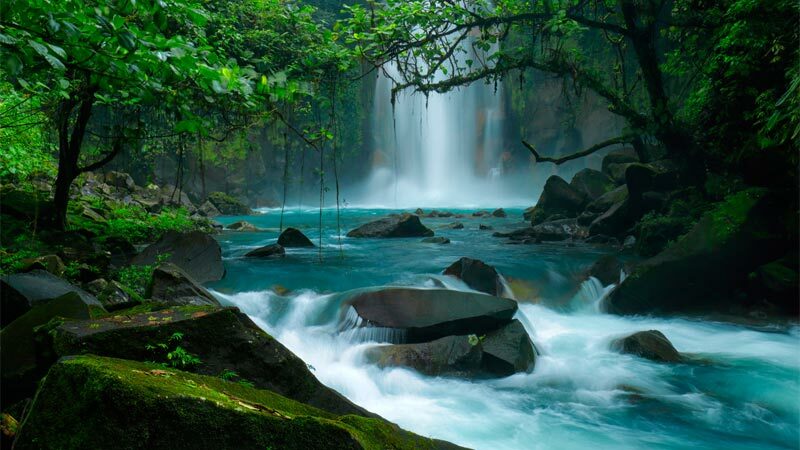 There are many wonderful Costa Rica travel packages to choose from. If you’ve never considered a travel package before, you have ample reasons to do so. In this post, we’ll consider eight ways Costa Rica travel packages can save you time and money. Perhaps the first and most obvious thing a travel package can save you is money. Travel companies can offer great deals because they arrange things in bulk. This means they can offer better-priced deals than you could negotiate on your own. Take advantage of their bargaining power. A travel package will allow you to stay at nicer hotels and enjoy better activities for less than you’d spend independently. Another bonus? Since you’re paying for everything upfront, you can better budget for your trip. In fact, you won’t need to spend much (if any) extra money at all, since everything is already included. In today’s busy world, who has the time to research and plan an overseas vacation? With Costa Rica travel packages, you don’t have to. All the research and planning has already been done for you. This frees up hours of your time scanning travel sites and calling hotels or airlines. A package will also save you time once you’ve arrived. You want to make the most of your vacation, right? Don’t waste precious time organizing activities once you’re there–book them in advance through a travel package. Traveling is stressful under the best of circumstances. There’s not much you can do to shorten security lines at the airport, but you can reduce your stress level before and during your trip. When you book a package tour, you’re actually buying peace of mind. You don’t have to stress about places to visit, booking a cab, or where to eat. Your tour operators take care of all this for you. A package also reduces your stress in the event that something goes wrong. If your flight is delayed or you miss a connection, the tour operator will make alternate arrangements on your behalf. And if anything else goes wrong, you can sit back and relax while the tour company fixes it. What could be less stressful than that? Just because a country is beautiful and inviting doesn’t mean it’s completely free of danger. In truth, nowhere in the world is 100% safe anymore. Still, you can greatly increase your chances of a safe, uneventful holiday by booking a travel package. Travel companies are completely aware of current situations in their country. They know the areas that may be prone to street crime, severe weather, or dangerous wildlife. When you book a travel package, you can rest easy knowing that you’ll travel to only the safest and most secure locations. Have you ever arrived at a resort or a restaurant, only to find it wasn’t as great as you’d hoped? Unfortunately, this scenario happens a lot to independent travelers. When you plan a vacation on your own, chances are that the results won’t live up to your expectations. This is especially true if you’re not an experienced traveler or you don’t know where to look for the best deals. Costa Rica travel packages ensure that everything on your vacation is exactly as it’s advertised to be. You’ll stay at the best hotels, dine in the best restaurants, and enjoy the best activities and excursions. Even if you’ve visited the same country many times, you’ll never know it as well as the locals do. No matter how much research you do, you’re still likely to miss some key sites. And even if you do manage to make a complete list, you may not know how to organize your time to fit everything in. Again, this is where a travel package saves you. Local tour companies offer packages that are designed by locals. This means they’ll use their knowledge to put together an itinerary that includes only the best. Speaking of itineraries, travel companies have had a lot of time to perfect them. They’re already familiar with the best hotels, best restaurants, and best activities in every region. Why try to plan everything yourself when these established itineraries have already been tried and tested? This way, you know you’re getting the best of the best and bypassing anything less. With travel package itineraries, you also don’t need to worry about getting scammed or ripped off. This is particularly true when you’re in a country where you may not know the local language. Save yourself a headache (and the hassle) by using a tried-and-true travel package. A common complaint people make about travel packages is that they’re too rigid. The word “package” brings to mind images of a preset, inflexible deal–which doesn’t sound like much of a deal. This is one reason why some companies are now using the term “bundled vacations” instead of travel packages. The idea of bundling different features of the vacation gives you the traveler more freedom and control. Perhaps the best feature of our Costa Rica travel packages is that they’re fully customizable. Want to go horseback riding instead of scuba diving? Want to skip that ATV tour and relax in your honeymoon suite instead? Do you want a room that faces the resort pool instead of the trees? Whatever you have in mind for your dream holiday, we can customize a package to make it happen. Are you ready to experience all that amazing Costa Rica has to offer? Whether you want to surf, birdwatch, or climb a volcano, there’s an itinerary that’s perfect for you. If you just want to lay on the beach and relax for a week, we can make that happen too. Contact us today and we’ll put together a list of terrific Costa Rica travel packages for you to choose from.